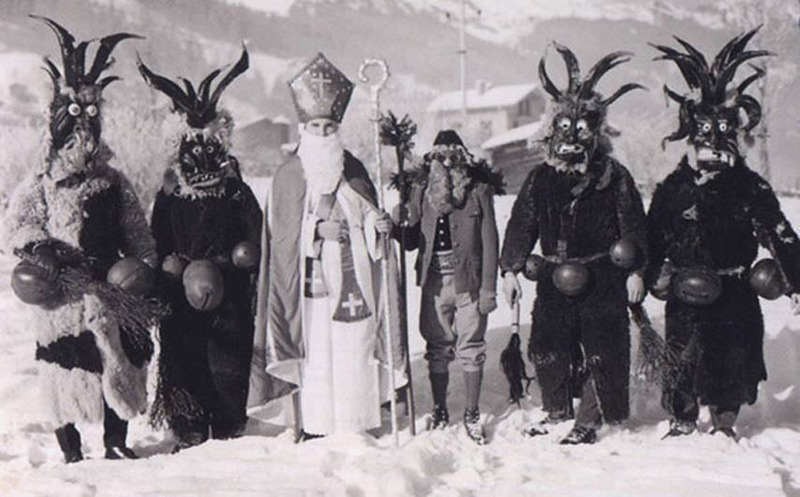 Join Morbid Anatomy and Ghoul A Go-Go as we gather yet again to celebrate Krampus, St. Nicholas' cloven-hooved, chain-swinging, lolling-toungued, child-punishing Eastern-European sidekick! This year's iteration will feature our infamous costume contest (with prizes!) along with the opportunity to immortalize your costume in a special photo-booth created by Kellfire Bray and Rose Callahan; performances by Ghoul A Go-Go; DJ Friese Undine's signature alpine exotica; drink specials; our famous Krampus cake; and, for the very naughty among you, the opportunity to be beaten with a birch switch by our very own be-horned Krampus. Also on hand will be Glen Heroy as Santa Himself, Kevin Mahler from "Kevin Geeks Out," and MC Heather "Krampus" Buckley.